London, United Kingdom (March 13, 2014) – Poker tournament software leader The Tournament Director has released its latest software version. Version 3.3 includes an exciting new feature that will allow tournament directors, card rooms, poker clubs, associations and host casinos the ability to send in their tournament results to The Hendon Mob Database directly through the software. Once results are received, The Hendon Mob team will review all submitted data to ensure its accuracy. The Tournament Director application has been downloaded by over 100,000 users, with tens of thousands of them registered customers. Tournament directors and poker-room managers from dozens of countries worldwide use The Tournament Director to run their poker tournaments. Thanks to changes to its exclusive scoring system at the start of 2014, The Global Poker Index now assigns GPI scores to players in most open-field events, giving more poker players, from the high stake superstars to the grinding amateurs, the opportunity to be ranked on the GPI, All Players – All In. 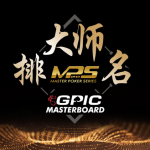 The association with The Tournament Director will allow more players to be added to THM/GPI and is another step towards the eventual release of the GPID (Global Poker ID) that aims to become, in the next two years, a standard in the poker industry. Having results posted on THM/GPI allows for events to be seen by over 4 millions visitors on the sites, giving tons of exposure to those events.